The new Fortis Aviatis Aeromaster Professional features a black PVD case and performance strap with the clean dial layout that is a hallmark of this series. 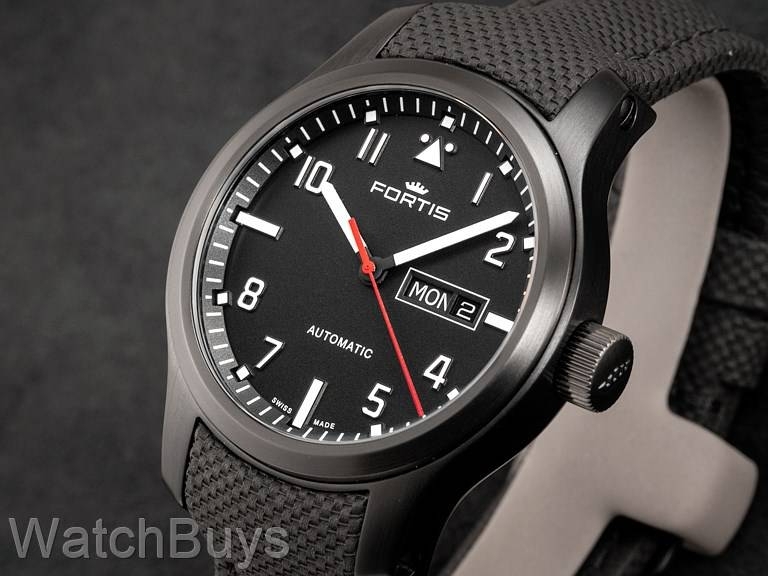 The commanding presence of this watch comes from a combination of size and legibility as the 42 mm black PVD case and integrated black performance strap design make the Fortis Aviatis Aeromaster Professional ideal for everyday wear. This watch is fitted with a black Fortis integrated performance strap with black stitching that leaves no gap between the strap and case.